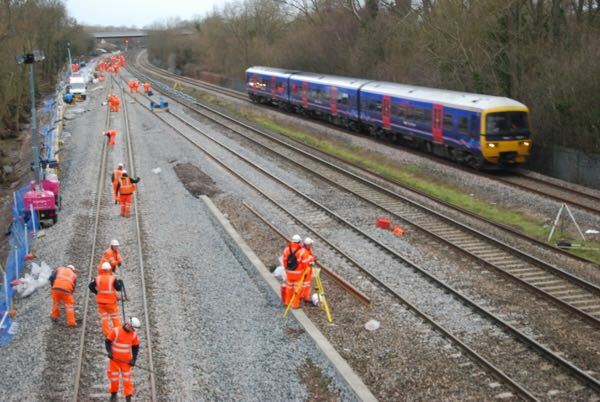 GWR has released details of major alterations to Cotswold Line train services in July, while Network Rail commissions new signals around Oxford and completes track alterations to increase capacity. The project will start on Saturday, July 1, and continue until Sunday, July 29, with various sections of the line shut between Moreton-in-Marsh, Hanborough, Oxford and Didcot at different stages. As well as switching on new signals, Network Rail will be installing new track and points at Oxford North Junction, where the line to Bicester diverges, adding an extra section of track just north of Oxford station to remove current conflicts between Chiltern Railways services to and from Bicester and southbound GWR and CrossCountry services, which can cause delays just outside the station, and making platform 4 at Oxford station bi-directional, so trains can depart south towards Didcot, as well as north to the Cotswold Line and Banbury. A further improvement, which should help to ease disruption to Cotswold Line services, will be the completion of the reinstatement of the loop line from Oxford North Junction to Wolvercote. This will allow passenger services to overtake freight trains here and mean that if a train heading on to the Cotswold Line from Oxford is delayed by a late-running service on the single track from Charlbury, it wil be able to wait closer to the junction at Wolvercote than at present. Click here to see the GWR website's special page about the Oxford area work and alterations to trains, bus links and acceptance of its tickets on other operators' services, including Chiltern Railways between Oxford Parkway and London Marylebone, and on West Midlands Railway and Virgin Trains between Worcestershire and London Euston via Birmingham. A limited GWR through service between London, Worcester, Great Malvern and Hereford will run via Swindon and Cheltenham in weekday peaks while the line is shut through Oxford. See the diagram below for details of what services will operate on which days on routes around Oxford during July.